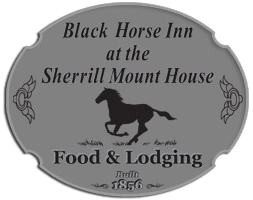 The Black Horse Inn has four comfortable suites available for lodging. Any room will have a good view. Breakfast is included in the lodging rate. The area is replete with popular attractions. Choose from fine dining, water recreation, gambling and so many things to do! 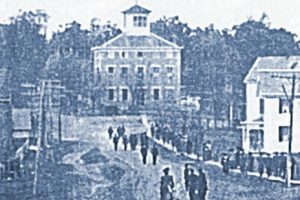 The Sherrill Mount House is of local and statewide significance as one of a very small number of pre-Civil War era hotels surviving in the State of Iowa. 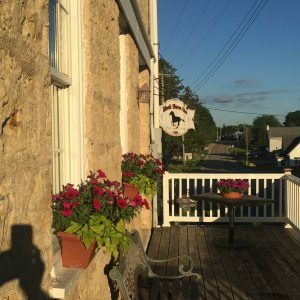 Come join us at the Black Horse Inn located in hilltop community of Sherrill, Iowa. 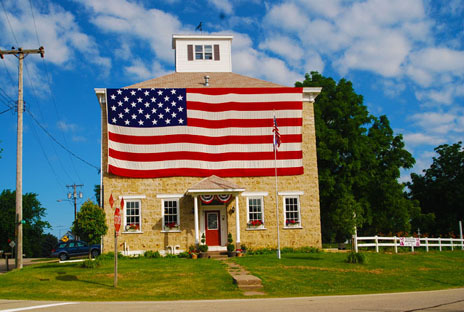 Experience fine country dining and enjoy the scenic beauty of the Mississippi River Bluff along the Great River Road. 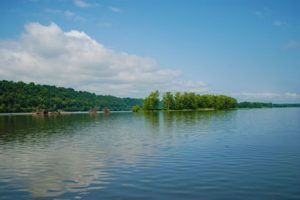 Assistance for those seeking to explore the Tri-State Region with activities such as wine tasting, fishing, local museums and other regional attractions. Full gourmet ala carte breakfast. Special events can be catered at the Inn for groups up to 40 for occasions such as Birthdays, Anniversaries, Wedding Receptions and Holiday parties. Special rates available for groups, military, students and bereavement. Wireless Internet and Internet Access. 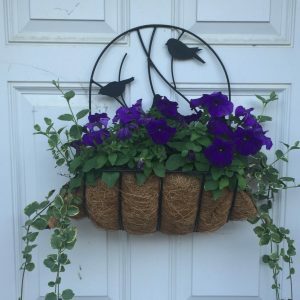 We don't stay at a lot of B&Bs, but, based on the reviews, we decided to try Black Horse Inn. 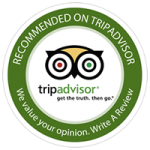 We now certainly can understand all the excellent reviews and we'll add ourselves to the list. 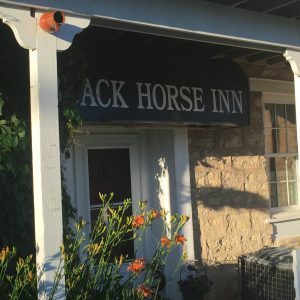 The Black Horse Inn exceeded our expectations! Ken was so nice and made us feel right at home. Our room was beautiful, everything was clean and well maintained. 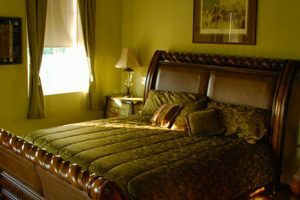 ...because now everyone will know how over-the-top this B & B is, and it will not be a hidden gem for long! We can't wait for you to stay!